Our ranchers inspire us everyday. They are stewards of the land, care deeply about the animals they raise, and take pride in contributing to the good health of our communities. Hi, my name is Martin Emigh. I am a 4th generation lamb producer in Solano County. I have been direct marketing my lamb for the past 5 years with my daughters, Catie and Sarah. I am very proud of my production practices and would like to give you an idea of how it is done. I am fortunate to have non irrigated hill ground and irrigated pasture ground. The pastures are all natural and never have any herbicide, pesticide, or fertilizer sprayed on them. I run about 2-3 thousand mother sheep that have their lambs in the non-irrigated hill ground between October and April. When the ewes with lambs are just a few weeks old, they are put on the irrigated pasture in the early fall. They grow there until the winter rain starts, making the grass grow in the non-irrigated hills. When there is enough new grasses started (usually end of Dec, first part of Jan) they are moved back to the hills. Then the lambs are grown out there until April to May +/- depending on the feed conditions. They are then weaned from their mothers and finish out on the irrigated pasture ranch. The lambs are always on green feed keeping them on a steady growth schedule. They are never given hormonal growth stimulants or antibiotics. All my lambs are grown naturally. My product is the best available anywhere. The lambs are processed at a state of the art USDA facility in Dixon, Ca. Hope you enjoy our delicious naturally raised lamb! We formed Pasturebird, Inc. in 2015 with the mission of providing the highest quality pasture-raised poultry to wholesale customers. With a focus on transparency, customer service, and top quality products, Pasturebird is the gold standard for operators who believe that chicken should be raised “Always Outside”, on lush green grass, with fresh air and sunshine replacing the antibiotics and vaccines that are the standard in poultry grow-houses. Devoted to wholesome, genuine, and truly sustainable ranching operations, the Rossottis value transparency in their production of pastured veal from birth, to pasture, to plate. Their diversified ranch has a deep commitment to sustainability and land management, with the health of the land directly linking to the health of the animals and quality of the meat. The pasture-to-plate focus of this entirely family owned and operated ranch is the result of Julie and Tony Rossotti’s lifelong passion for their families’ heritage of producing food for their community and their love for livestock and the environment around them. 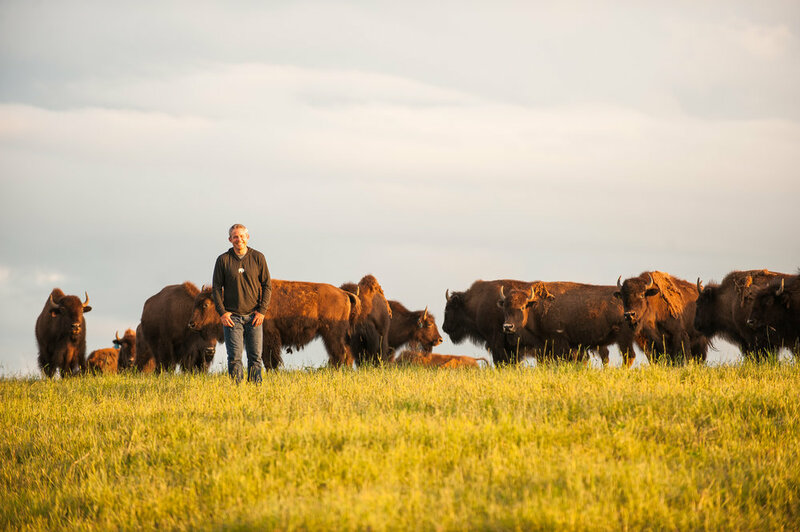 We promise that The Honest Bison will always provide meat that is of the highest quality—100% grassfed and humanely and sustainably raised. If we wouldn’t feed it to our family and friends, we wouldn’t feed it to you either. Impressive, right? Want more rancher inspiration? We talk to several of them on our podcast, Herd That.